If a taxpayer owes taxes to the Internal Revenue Service and does not establish an agreement to repay the taxes through an installment agreement, settle the tax debt with an offer in compromise or another agreement with the IRS, the IRS can enforce collection of the tax debt. The IRS has multiple ways to enforce collection of a tax debt such as: a bank levy, wage garnishment, levy of 3rd party monies owed to the taxpayer or even through the seizure of assets. The article below has been drafted by a Denver tax attorney at The McGuire Law Firm to discuss an IRS bank levy. Tax attorneys may receive calls from clients or potential clients stating that a bank account has been frozen or their money is gone. Likely these individuals or businesses are referring to an IRS bank levy and hopefully the article below can provide useful information regarding IRS enforcement action and bank levies. When a tax debt is assessed, the IRS will initially issue notices requesting payment of the tax. When the tax debt is not paid, the IRS will continue to issue notices, and may issue a Notice of Federal Tax Lien. When the IRS issues a Final Notice of Intent to Levy (also referred to as Letter 1058) this is the taxpayer’s final notice that the IRS is getting ready to take enforcement action to collect the taxes owed. One of the common methods used by the IRS to enforce collection of a tax debt is a bank levy. By definition a levy is a taking of property and after issuing the final notice of intent to levy, the IRS has provided you with the due process required to levy or take your property to resolve the tax debt. The IRS will issue the bank levy to the bank or banks of which they know or think you hold money. The levy notice issued to the bank may be for one or multiple periods of tax debts and upon receipt the bank must hold any monies in the account up and to the levy amount for 21 days and thereafter forward the money to the Internal Revenue Service. For example, if you owed $15,000 to the IRS, and the IRS issued a bank levy to ABC Bank of which you held $5,000, the bank would hold all of the $5,000 to eventually be paid to the IRS unless the levy was released or partially released. Many banks will charge fees for the processing the levy and of course, you are likely to have checks and other payments not clear your account. Thus, in addition to the money paid over to the IRS, a bank levy can cost a taxpayer a lot of money in bank fees. It is possible to have the IRS bank levy released or partially released depending upon the taxpayers circumstances. If the levy is released, the IRS will issue a notice of release of levy to the bank and the funds released are generally available to the taxpayer within 24-48 hours. If you owe taxes to the IRS or your bank account has been levied it is recommended that immediately resolve your tax problems with the IRS or contact a tax professional or tax attorney for help. An IRS matter will not get resolved without addressing the issues, and usually will only get worse when ignored. You can speak with a Denver tax attorney at The McGuire Law Firm if you have questions regarding an IRS matter or other tax issue. 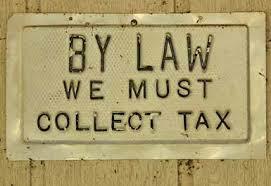 All potential clients receive a free consultation with a tax attorney! The McGuire Law firm has offices located in Denver and Golden Colorado for your convenience.